For many in Miami’s Cuban exile community, hating Fidel Castro is as natural as loving one’s children. This hatred, Miguel De La Torre suggests, has in fact taken on religious significance. In La Lucha for Cuba, De La Torre shows how Exilic Cubans, a once marginalized group, have risen to power and privilege—distinguishing themselves from other Hispanic communities in the United States—and how religion has figured in their ascension. Through the lens of religion and culture, his work also unmasks and explores intra-Hispanic structures of oppression operating among Cubans in Miami. Miami Cubans use a religious expression, la lucha, or “the struggle,” to justify the power and privilege they have achieved. Within the context of la lucha, De La Torre explores the religious dichotomy created between the “children of light” (Exilic Cubans) and the “children of darkness” (Resident Cubans). 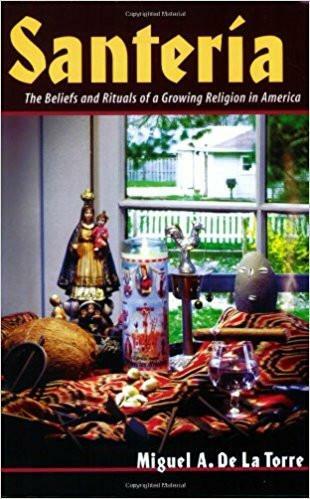 Examining the recent saga of the Elián González custody battle, he shows how the cultural construction of la lucha has become a distinctly Miami-style spirituality that makes el exilio (exile) the basis for religious reflection, understanding, and practice—and that conflates political mobilization with spiritual meaning in an ongoing confrontation with evil.